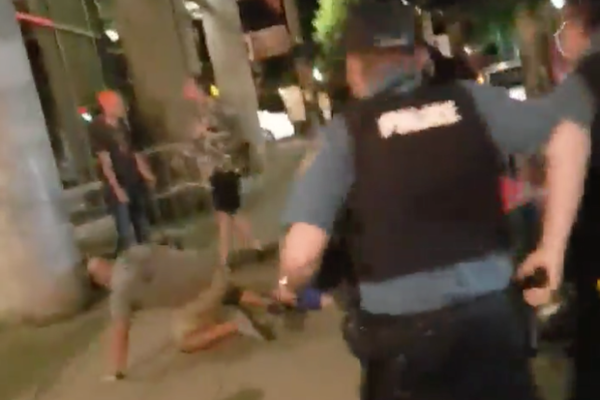 Keyaira Smith, a witness who took video of the moments leading up to Washington's death, told OPB that he was “trying to be a good Samaritan" by breaking up a fight. PSU officials are already preparing to defend the university against a lawsuit. Leaders convened a closed-to-the-public executive session Friday afternoon to discuss potential litigation. The session came even as leaders knew little about the victim, other than that he likely wasn’t a PSU student. Multiple agencies, including the Multnomah County District Attorney’s Office and the Portland Police Bureau Homicide Detail, are conducting an investigation into the incident. PSU and PPB have not officially identified Washington or provided many details about the incident. The Portland State University Student Union is calling on the University to disarm campus officers with a rally scheduled for Sunday — the three-year anniversary of when the university first armed Campus Public Safety Officers. The university’s board of trustees cast a controversial vote in 2014 to employ sworn armed police officers on campus. "Everyone who has expressed dissent over the years to the armament of CPSO and creation of a police force knew that one day this decision would result in deadly violence, and we know that it will continue to happen so long as campus security remain a deputized and armed police force," PSUSU wrote on its Facebook page. "There’s no way around it – this is how policing works."